St. Geneve began as a small family business that has established itself on the Canadian market over the past decades. The founder, Michael de la Place, started creating patterns and developing design features over 40 years ago. Quality has always been our primary objective. A member of Downmark – the Canadian Down Association, St. Geneve has been active in many of its initiatives. St. Geneve bed linens are designed and made in Canada using the highest quality Silk, Giza 70 Egyptian Cotton, Linen and Micro Modal® fabrics, woven by trusted mills in Germany and Italy. Our collections are meticulously hand-crafted, exclusive and exquisite. Our commitment is to provide the highest standard of luxury in bed linens. Soma features the entire collection of St. Geneve fine bedding and linens. We offer free shipping on orders of $100 nearly anywhere in Canada and across the continental USA. We have wide selection of St. Geneve bedding products in stock at our Toronto Showroom near Yorkdale Shopping Mall. All of St. Geneve designs offer a wide array of customization to suit the unique decor of each individual room in your home. Every design is expertly hand sewn in Canada by St. Geneve from genuine Italian and German fabrics. To make the shopping experience as enjoyable and easy for every customer, each duvet design is partnered with its matching solid coordinate. 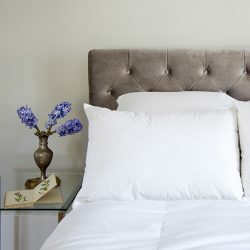 Although St. Geneve bedding is primarily bespoke or made to order, Soma does regularly stock some select Genuine Giza Egyptian Capri Cotton Solids, Arisa Linen, and Nico Organic Cotton. Should you wish to customize your bedding ensemble please contact our store or call (416) 789-2337 and speak to one of our bedding specialists to tailor your bedding requirements to your specific needs. We offer free shipping to nearly anywhere in Canada and the Continental USA on orders of $100 or more. St. Geneve produces some of the finest natural duvets available . The down duvets from St. Geneve have superior loft making them very puffy without adding unnecessary weight. This mature down has incredible insulating power and clinging ability, yet is very light and airy ensuring that your are never sleeping too hot or too cold. 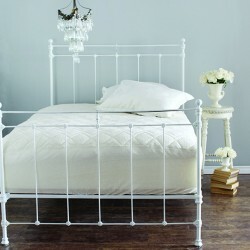 We regularly stock Laroche, Lajord and Ziegler in Queen and King duvets in both Summer and Classic fill weights. Every duvet features a genuine baffle box design along with being covered in a soft sateen cotton shell that is both down and dust mite proof. St. Geneve down pillows are luxurious and comfortable, available in soft, medium, and firm densities. Whether you sleep on your side, back, stomach, or a combination, a St. Geneve pillow will always provide both comfort and support for your neck and spine. Choose from a wide selection of luxurious fill including duck down, goose down, and eiderdown. We regularly stock Laroche in Queen and King in the medium weight, also Larjord is regularly stocked in Queen and King in all three densities of soft , medium, and firm. 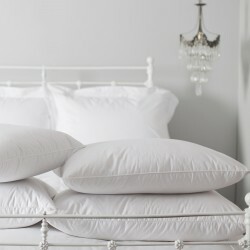 Every pillow is covered in a beautiful soft cotton sateen shell that is both down and dust mite proof.